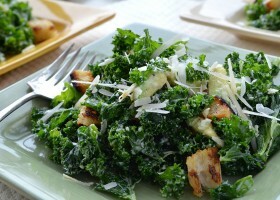 Rastan is a wild cabbage known as collard greens in the USA and kale in the UK which grows in abundance in Montenegro. This is an ancient traditional peasant dish which is still counted as a staple food today. Clean the rastan well in two changes of water and rinse through a colander. Shred into strips or tear into smaller pieces, discard the hard stalk parts. Put in a pot for cooking, cover with water and bring to a boil. Boil for five minutes then strain the leaves through the colander. Add back to the pot with fresh water also add the head of garlic cut in half across the cloves, carrots, spices, salt, pepper and dry meat, I usually put a small piece of ham, who had the delightful aroma and flavour. Cook for one hour and a half. Gently fry chopped onion in 4 tablespoons of oil ,when it becomes softened add 2 tablespoons of flour and two spoons of red pepper powder. Combine it with a wooden spoon for a minute or two and then add the browned flour mixture to boiled cabbage. Stir in well and cook gently for about 15 minutes. Serve in soup bowls.